Are you a teetotaler and a connoisseur of flavored tea? So am I! 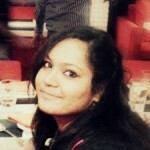 I can’t do without my morning cup of piping hot tea to kick-start my day. When I’m in the mood, I like to experiment with my tea, which is why I started trying the flavored tea. It was on one such trip that I discovered ginseng tea. So, how good is this ginseng tea? Well, it is a rich source of naturally occurring antioxidants called ‘ginsenosides’ that have medicinal properties. 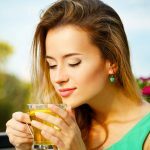 The proposed health benefits of ginseng tea are far too many, including relieving menstrual problems, digestive issues, asthma, arthritis, and sexual dysfunctions. And, how do you brew ginseng tea? The tea is made by brewing the perennial ginseng root like green or white tea and served. Ginsenosides: Also called panaxosides, these compounds are the most active ingredients with healing properties in a ginseng root (1). They are the most sought-after natural saponins in nature that can penetrate cells to improve resistance to stress and enhance cellular balance (2). Spices: You can combine other spices along with ginseng root like cinnamon, ginger, and apple cider to make your tea more flavorful and potent. What Are the Proposed Benefits Of Ginseng Tea? Ginseng can also help relieve pain and discomfort during menstrual cycles. American wild ginseng tea is known for its cooling and soothing effects. It contains micronutrients that support estrogenic activity, easing stress from vaginal muscles, thus providing relief from menstrual cramps (3). Ginseng tea is also an effective remedy to counter fluctuating blood pressure. Asian ginseng tea, also known as Korean ginseng tea, has a calming effect. It helps lower blood pressure and provides relief from diseases like hypertension (4). Obesity is increasingly becoming a life-threatening health issue. If you are trying to lose some weight, include ginseng tea in your diet. Ginseng herbal tea is known to help with weight management. A natural appetite suppressant, drink this daily to melt those extra layers of fat from your body (5). It increases the metabolic rate of the body and burns fat. 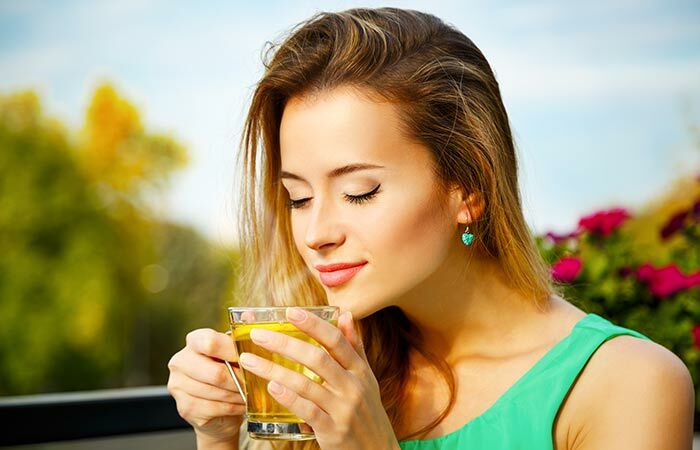 Unlike other ‘miracle’ weight loss methods, ginseng tea does not cause any side effects but helps you lose weight. But remember, ginseng tea alone cannot help you lose weight. Combine it with a healthy diet and an appropriate workout regimen for best results. According to studies, it has been found that people who consume ginseng tea are less likely to have cancer. Hailed as a life-giving plant, scientific studies have proved that the ginseng root does possess properties to fight cancer. The ginsenosides compound have shown to have an effect against deviant molecular processes causing the deadly disease. Research has also shown its potential to kill cancer cells and inhibit cancer’s uncontrolled growth, invasiveness, and angiogenesis. (6). Ginsenosides, present in ginseng tea are known to stop the growth of tumor cells. Even medical practitioners recommend ginseng tea as a cancer preventive measure. It can also help make you more attentive and enhance your cognitive abilities. Ginseng tea is believed to be extremely helpful for students. It acts as a stimulant to the brain cells, thus improving the powers of concentration and cognitive abilities (7). With increased retentive capabilities and alertness, no examination can be too daunting. Now, if your reaction is really? Read on to know how it helps. Ginseng root tea is known to be a prosexual herb that helps treat sexual problems like erectile dysfunction (8). It has been clinically proven to contain phyto (plant) testosterone that can effectively increase sperm count in men (9). If digestive problem is troubling you, try a cup of ginseng tea. Ginseng tea helps the normal secretion of pepsin aiding digestion (10). It relieves constipation, bloating, and flatulence. It also helps provide relief from the symptoms of Crohn’s Disorder (11). Ginseng tea also reduces instances of premature skin aging. The consumption of Korean red ginseng tea can reduce the signs of premature aging. This tea is a rich source of antioxidants that can halt free radical formation caused by overexposure to the sun (12). Free radicals are responsible for the early signs of aging like wrinkles, fine lines, and age spots. It can also soothe respiratory problems. American and Siberian ginseng teas help clear blocked sinuses and bronchial passages as well as reduce inflammation (13). They offer effective treatment for patients suffering from a severe cough, asthma, cold, and pneumonia. It also helps keep you away from cold and flu. Ginseng tea helps in strengthening the immune system (14). It also enhances the efficacy of the stress adapters of the immune system and helps you steer clear of common ailments like cold and flu. Ginseng tea helps regulate sugar levels in the blood. According to research, the ginsenosides in American ginseng tea help control the blood sugar levels in the body, maintain proper functioning of the pancreas, and also enhance the response power of the body to insulin (15). One of the effective ginseng tea health benefits. It also helps reduce effects resulting from chronic pain. Studies have revealed that Siberian ginseng tea has anti-inflammatory properties. Herbalists recommend its use to cure conditions related to inflammation like arthritis and other chronic pains (16). Ginseng tea has been found to be an effective prophylactic against the effects of radiation treatment. The ginsenosides present in ginseng tea have been found to preserve the cells by boosting immunity and providing protection against radiation therapy (17). 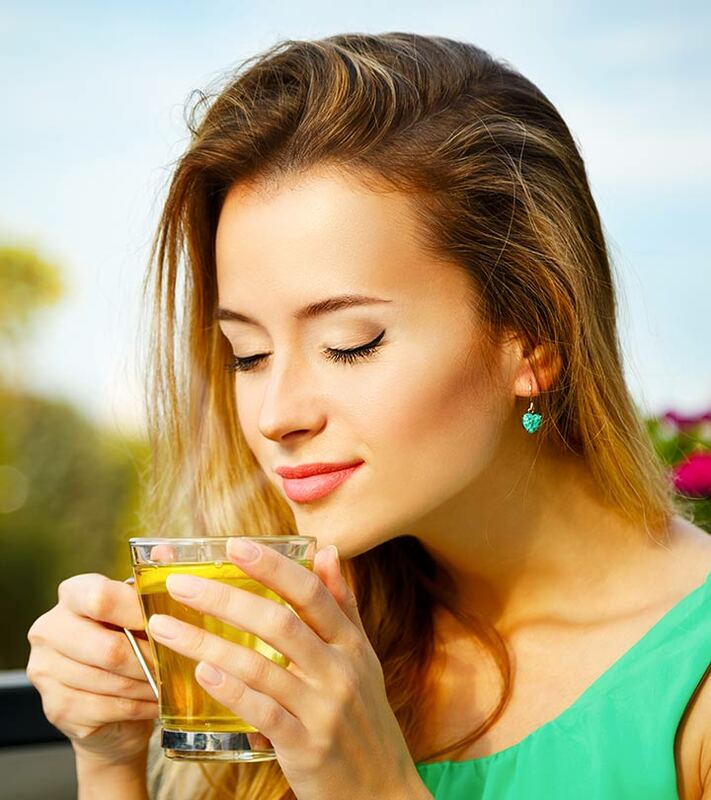 One of the best ginseng tea benefits is that it takes good care of your skin. Ginseng tea is particularly perfect for refining and rehydrating your skin. It also regenerates skin cells by increasing oxygenation. It acts as a skin cleanser as well as refreshes your skin. Ginseng tea promotes blood circulation and purifies it as well. Clinical experiments have found that ginseng tea helps lower toxicity levels in your blood that otherwise exert pressure on your liver. It is also mildly diuretic. All of these contribute towards purifying your blood (19). Did you know that making your kids drink ginseng tea can save them from falling prey to ADHD? According to a study, a perfect combination of American ginseng and Ginkgo Biloba can improve the symptoms surrounding the Attention Deficit Hyperactivity Disorder in kids (20). Parkinson’s, Alzheimer’s—the very mention of these neurological disorders scare the hell out of you. But studies have found that having ginseng tea can help in controlling and treating them. The neuroprotective properties (antioxidant, homeostasis, anti-apoptic and immunostimulatory) of Korean red ginseng helps prevent neurodegenerative diseases (21). 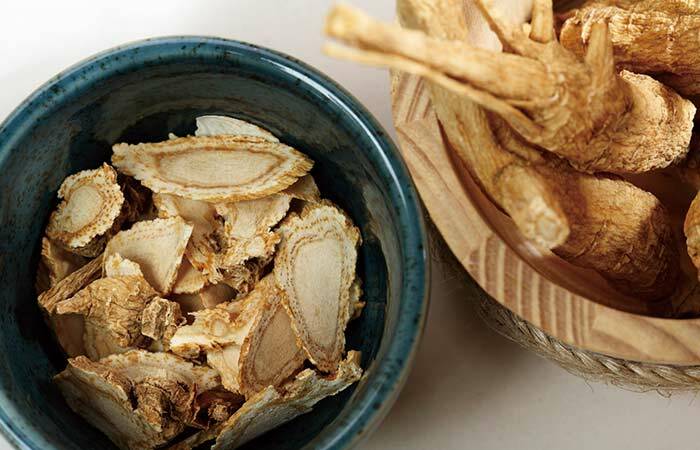 Its effectiveness against strokes is another surprising benefit Asian ginseng serves. Ginseng’s antioxidant and anti-inflammatory properties help in its prevention against fatal strokes (22). Ginseng is an excellent de-stress agent and helps in pepping up your mood. So, try having a cup of hot ginseng tea after a long day at work! Ginseng’s ability to calm the nerves and improve blood circulation in the brain helps bring down mood swings, thus making you happy and healthy. Chemotherapy is painful and its after-effects worse. Studies have found that ginseng has a property that deals with stabilizing the after-effects of inflammatory cytokines resulting from chemotherapy among kids who have cancer. 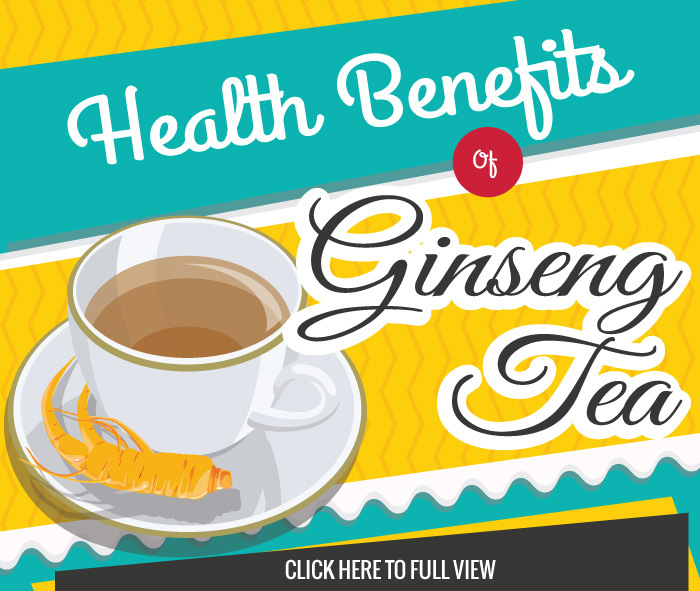 Here is an overview of the nutritional benefits of ginseng tea. When you are picking ginseng roots, make sure they do not have any soft spots. Sometimes, dried Korean ginseng root is available; you can use that as well. Or, you can find ready shavings of ginseng root that you simply add to your tea. If you have a whole root, use a sharp knife to slice up thin shavings. You can choose to use store-bought dried ginseng root shavings. Use at least one teaspoon of the ginseng shavings for making the tea. Put the shavings in a tea ball (available at any grocery store) and dip it in the water on the stove. Wait for the water to come to a boil, and then, take it off the flame. Allow the water to cool a little bit before pouring it into a cup. Dip the tea ball with the ginseng root shavings in the cup and allow it to steep for about five minutes. If you like your tea strong, leave the tea ball steeping for longer. Once you are satisfied, remove the tea ball and enjoy a blissful cup of piping hot ginseng root tea and reap its benefits. There are four types of ginseng tea—Japanese ginseng tea, Siberian ginseng tea, Korean ginseng tea, and American ginseng tea. Japanese Ginseng Tea: Also called Panax japonicam, this variety is much cheaper and found in small doses among herbal drinks in Japan. Siberian Ginseng Tea: Although not a true ginseng as it does not resemble the root, yet has all its healing properties. It helps soothe viral infections causing flu as well as herpes. Korean Ginseng Tea: Panax ginseng is also regarded as Asian ginseng tea and has far too many medicinal properties. It helps boost your memory as well as increase concentration and mental alertness. It also helps regain physical stamina and improve reproductive health. American Ginseng Tea: Panax quinquefolius is found mostly in the North American states of Wisconsin and Georgia. It has a calming effect that helps soothe stress. It also helps relieve cramps and abdominal pain in women during their menstrual cycles. All these varieties are implicit with certain elements that are highly beneficial for maintaining good health and vitality. Gastrointestinal Problems: Excess doses of ginseng tea have been found to render a feeling of nausea, vomiting, other gastric problems and headache (23). Insomnia & Nervousness: Ginseng tea can sometimes be overstimulating and give you sleepless nights along with anxiety (24). May Cause Blood To Clot: Korean ginseng tea has been found to intervene with the blood clotting behavior of platelets according to a study by the University of Pittsburgh Medical Center (25). May Cause Hypoglycemia: Ginseng tea helps control blood sugar levels, but if have diabetes, you need to be extremely careful. The effects of your medication coupled with the effects of ginseng tea can give you a an insulin shock or, in other words, hypoglycemia (26). Hormonal Imbalances: Prolonged consumption of ginseng tea produces an estrogen-like effect and may depress the central nervous system, causing postmenopausal vaginal bleeding (27). Owing to the excess estrogen in the blood, pregnant women and lactating mothers should avoid ginseng tea. 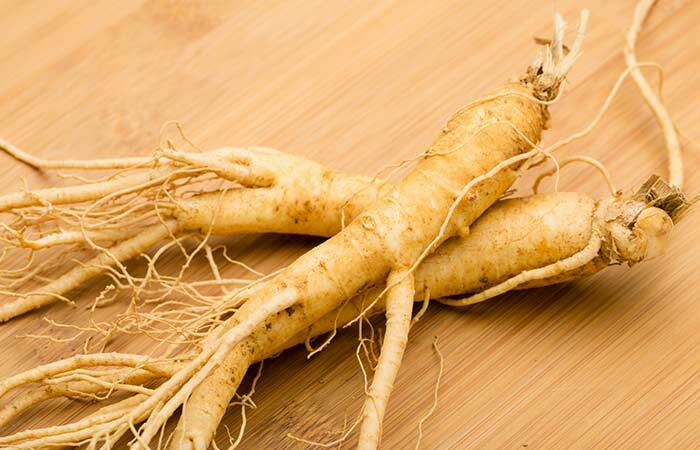 Ginseng has rightfully earned its way to the top of the health herbs list. There is a reason health enthusiasts swear by this tea. It can help you rejuvenate as well as lead a healthy life—now isn’t that something we all want? Having said that, it’s time you made it a part of your diet. Just make sure you don’t drink this tea more than two to three times a week. Hope you liked our post on benefits of ginseng tea. Have you ever tried the ginseng tea? Share with us your experience along with the best ginseng tea recipe in the comments section.